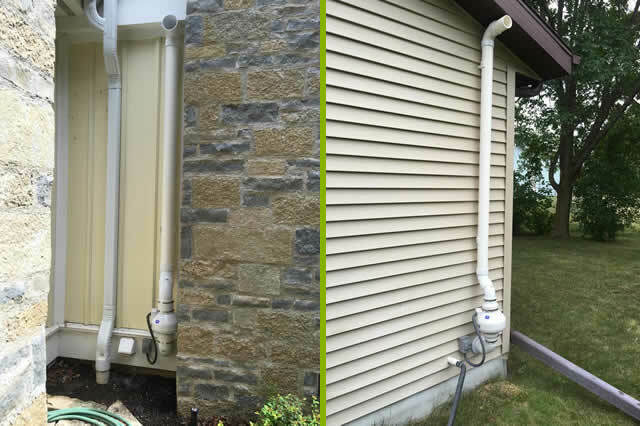 We specialize in radon reduction system installation in residential homes. Radon-B-Gone is a full-service radon testing and radon reduction service company committed to helping you resolve your radon problems. All of our work comes with a lifetime warranty and is performed in accordance with all EPA/NEHA protocols. We are located in Belgrade, Minnesota. Radon-B-Gone is fully insured, EPA trained and certified by the National Environmental Health Association. 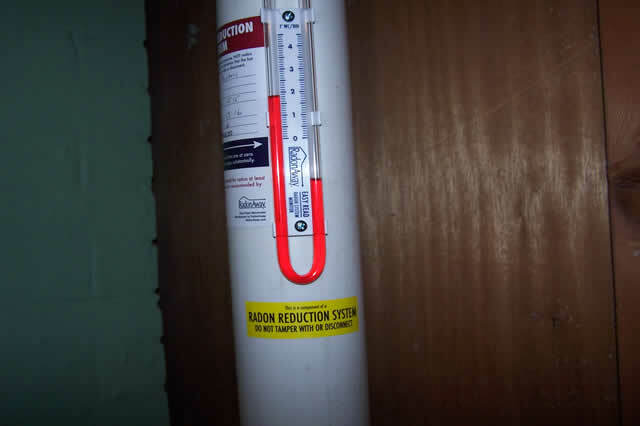 We specialize in radon reduction system installation in residential homes. We take pride in our work and love what we do! 1. Exterior mounted systems may be located near other equipment. 2. All exterior pipes are securely fastened and foam dampened. 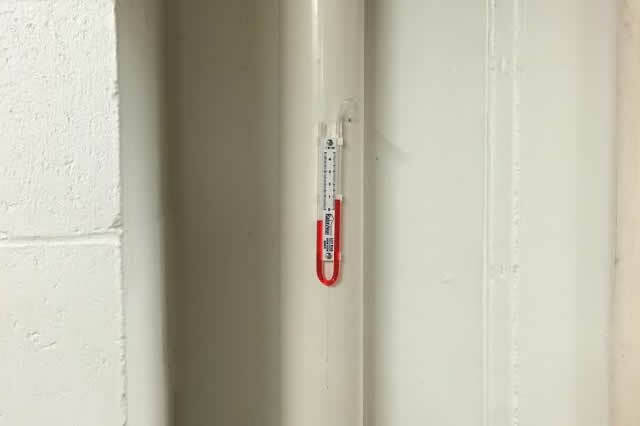 A system monitor is placed on all extraction pipes. 1. Exterior mounted systems may be located near other equipment.
" 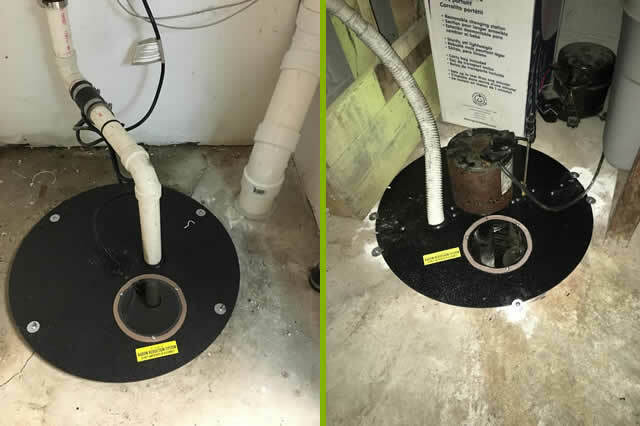 I was worried about the looks of a radon system on our house as well as losing some space in our utility room because I thought I knew the best place for it to go. I even considered doing the job myself. Kale came in to give me an estimate, suggested a different location, and we couldn’t be happier with the way it turned out. The system is both functional and aesthetically pleasing. The cost was quite reasonable and the job was done professionally. After our experience, I’ve recommended Kale to some of my co-workers and friends." 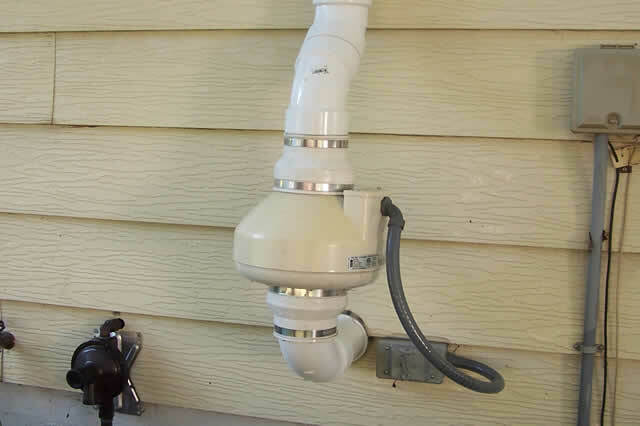 " When we sold our home it was tested for radon. The results came back high. The buyers wanted it to be mitigated. Our Realtor suggested Radon-B-Gone. Kale at Radon-B-Gone was a pleasure to work with and the craftsmanship of the radon system was outstanding. The post radon test results came back at an average of 0.2 "
" My average radon level in my basement was 10.4. I called Radon-B-Gone and had them mitigate my home. After getting the post mitigation test results back I was thrilled that the average radon level was down to 0.8!! 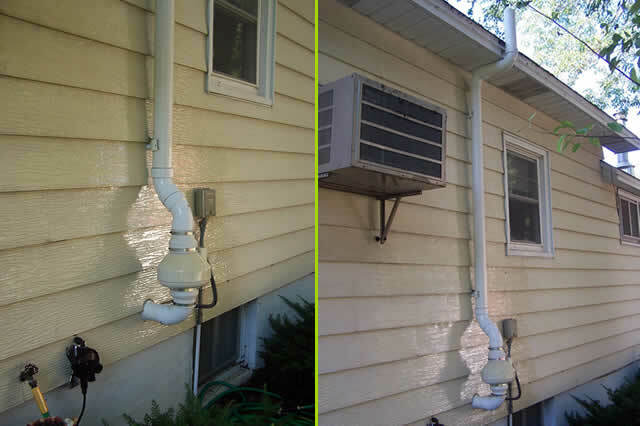 Radon-B-Gone was easy to work with and does quality work."